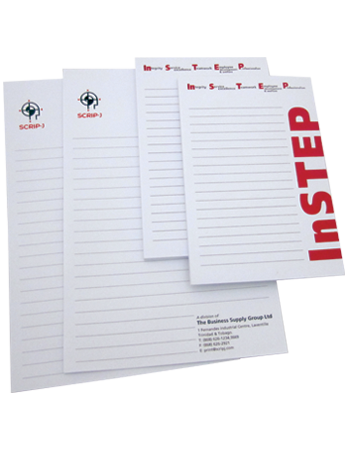 We can create memo pads or note pads customised with names, company information, or personal messages of any kind. They make great gifts at trade shows and makes your brand visible by just sitting on a desk. Pair your customised note pad with a branded pen and you won't be forgotten.